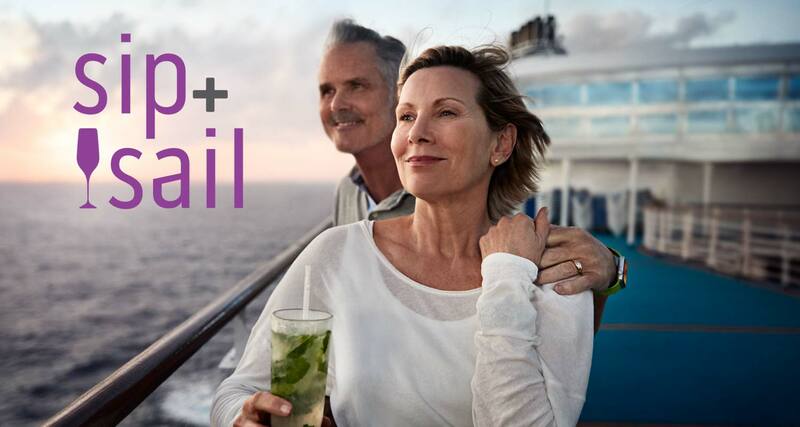 SANTA CLARITA, Calif. (June 28, 2018) – Princess Cruises today announced a thirst-quenching deal with the Sip and Sail promotion offering free beverages on board. Six to 56 day cruises to destinations around the globe and cruisetours sailing summer 2019 to spring 2020 are on sale now. In addition to destinations on sale, Sip and Sail includes offers to sweeten the deal. Guests booking balcony, mini-suite or suite staterooms will receive a free Premier Beverage Package for two people. Plus, free Unlimited Soda & More Packages for third and fourth guests in the stateroom. Guests can also take advantage of a refundable, reduced deposit of 10% of cruise fare per guest. More information about the Sip and Sail cruise sale is available at princess.com/cruisedeals. 11:59 p.m. PDT on September 5, 2018 and is available to residents of United States, Canada, Puerto Rico, Mexico and Bermuda who are 21 years of age or older. Additional information about Princess Cruises is available through a professional travel consultant, by calling 1-800-PRINCESS (1-800-774-6237) or by visiting the company's website at http://www.princess.com/.